Water purification solution for Drinking water is a very critical area that BSS Materiel has been able to successfully address. Ensuring Complete Hydration And Proper Mineral Intake. Incorporating this new technology of NANOMESH for water purification and in treatment devices removes microorganisms from fluids, without the use of heat, ultraviolet light or chemicals, resulting in clean drinking water that exceeds US EPA standards and WHO Standards as well as NSF /ANSI. v Provides reliably clean drinking water 99.9999% free of Bacteria, 99.99% free of Virus and 99.9 % free of Cysts. 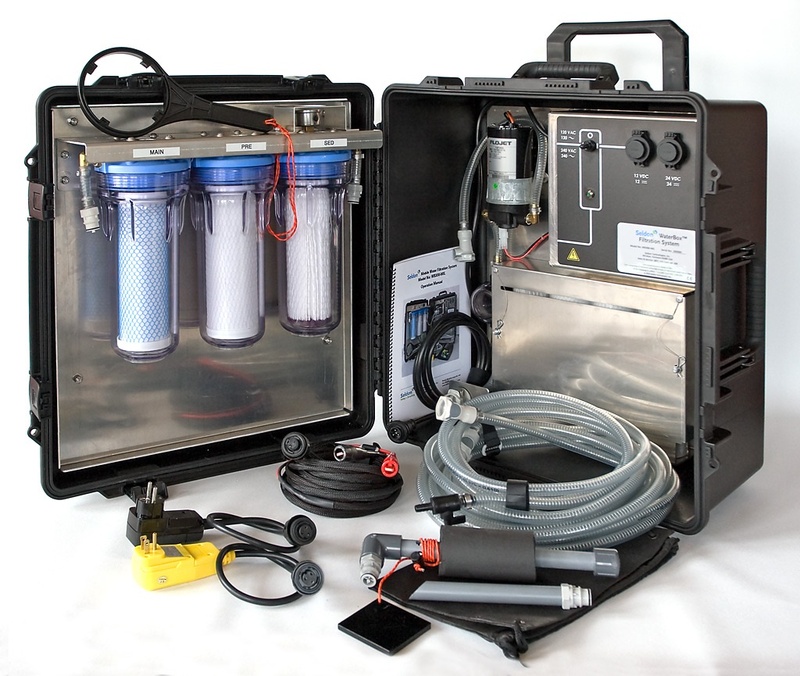 v	The NANOMESH Water Filter Systems leave in the healthful, naturally-occurring minerals. Minerals are totally dissolved in solution and do not have an actual physical size; thus, the minerals pass through the filter unchanged. The materials used in system are specially selected for their ability to react with the chemicals in the water but not with natural minerals. The ability to leave the natural, healthful minerals in while reducing harmful contaminants was a vital factor in the development of NANOMESH Carbon Block Filters. The medical community has always maintained that certain minerals are essential for a healthy body, Effective against all microorganisms’ contaminants, heavy metals and Arsenic in water. 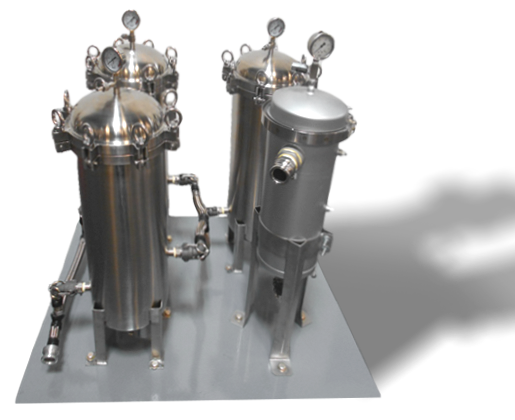 NANOMESH Carbon Block Filter allows certain dissolved impurities, such as lead and chemicals, to adsorb to the filter surface. Adsorption (as opposed to absorption) is defined as "the adhesion in a thin layer of molecules to the surface of solid bodies with which they are in contact". Thus, the solid carbon block is like a magnet that lead molecules and other heavy metals adhere to. The process of filtration through the NANOMESH Carbon Block technology requires a fraction of pressure as opposed to other systems. Thus increasing the energy efficiency and conservation. Dependency on Fossil fuel is kept at minimum. 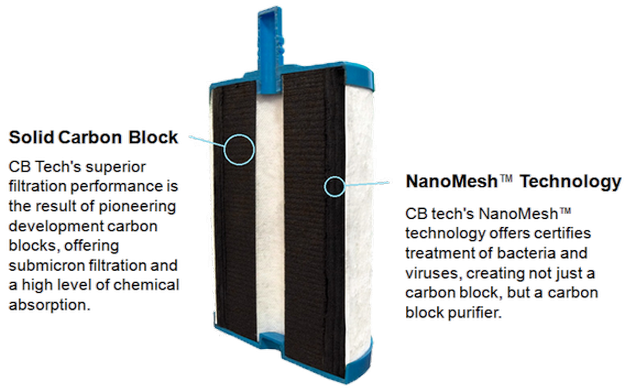 The NanoMesh Carbon Block technology has Zero wastage of water and other valuable resources involved. The disposal of used filter units is defined by global best practices ensuring minimum disposal footprints. The System has minimum moving parts and needs very little skills to run and operate. Extreme Operating Temperatures from 0-45 Degrees and can be used at 18,000 ft above sea level. The only maintenance that is required is change of disposable filters after life of service.The whole system can be over hauled in 15-30 mins depending on system size. The hardware of the system is designed to last a life span of 25years. 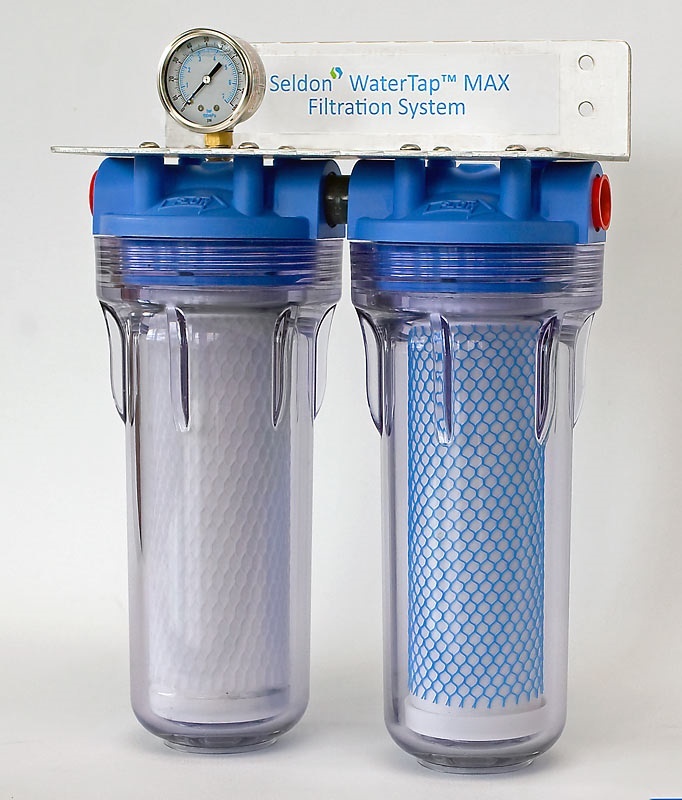 Most of the existing water filtration systems are handicapped with size and portability. This is because of physical footprints of equipment’s designs, sensitivity in operations and controls and difficulty in moving units from point to point. 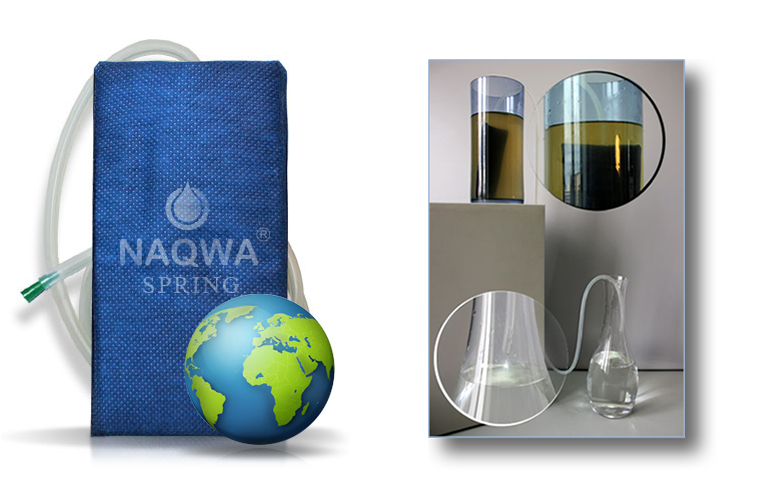 The results obtained indicate that “Series NAQWA SWR Track Membrane Filter” achieved a log reduction of up to log.9 (99.9999999% reduction) against the above prescribed test organisms when tested according to international methodologies outlined in 20/30 Labs (UK) and Silliker (Australia) Protocols. The test results are under verification by EU European Environmental Commission. 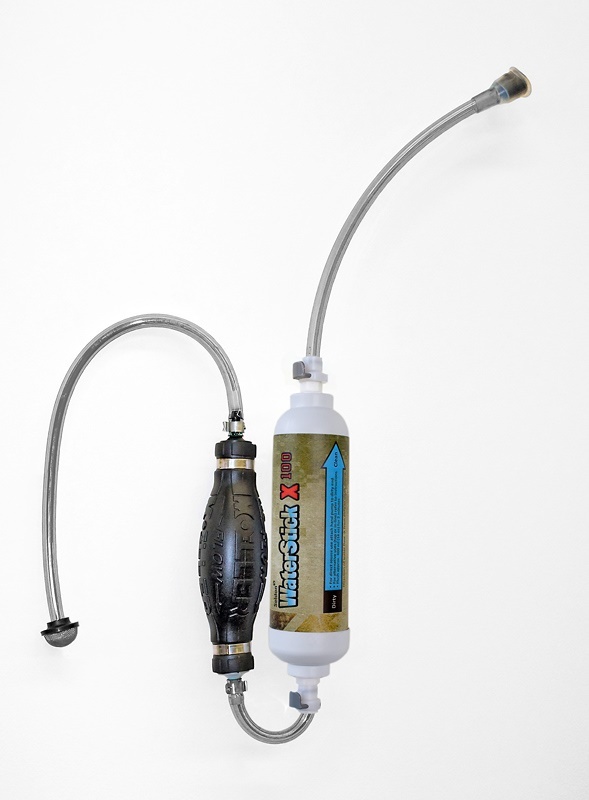 BSS NanoMesh™ WPE is the world's first and best patented commercial NanoMesh™ Water Filtration system for point-of-use, zero wastage, and no back flush water purification solutions that can operate with zero electricity. The unique feature of our technology is that it removes all contaminants such as arsenic, bacteria, and other contaminants like pesticides and heavy metals yet retaining essential minerals. It has been successfully field tested and been approved by Dr. Shri. R.A Mashelkar Committee for Examination of Best Technologies Concerning Sanitation and Water, Ministry of Drinking Water and Sanitation, Government of India.